Panasonic Lumix GH4 is a mirrorless camera which is made to work in a hybrid form. The camera is appealing those customers who love to create quality videos as well as click professional images. 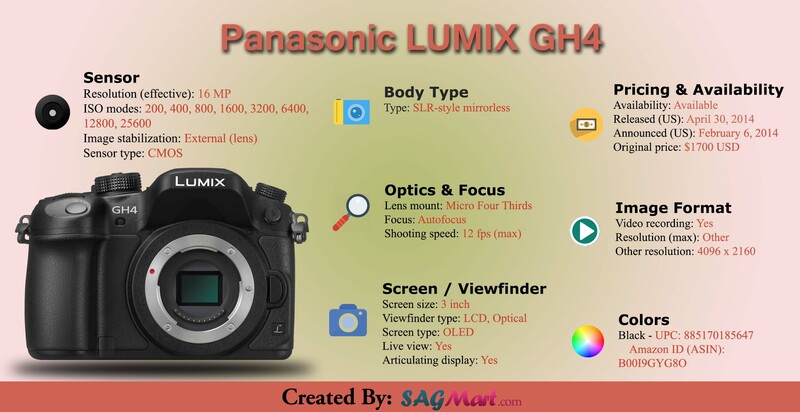 Checkout the specifications of Panasonic Lumix GH4 in form of Infographic.